In today's online market trends E-Commerce (Electronics Commerce) revolutionary change the selling and purchasing goods and services over the internet using online payment like credit cards, debit cards, Netbanking, PayPal etc. At 2Soft Solutions, we offer full range of e-commerce website application development including payment gateway, shopping cart integration, e-mails, and all other features that you would like to integrate in your ecommerce website. 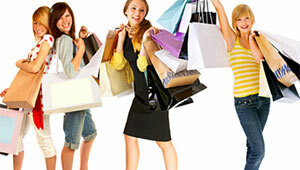 We gain good customer trust as a best provider of e-commerce solution for all types of industries. 2Soft Solutions focuses on providing best industry solution to your customers by developing e-commerce enable website that offers customers to see, choose, buy and pay online through your website using secure payment options. 2Soft Solutions has proven records for ecommerce shooping cart portal developmenet and you can hire skilled dedicated team for new or customized portal development. Contact us for FREE Consultation.